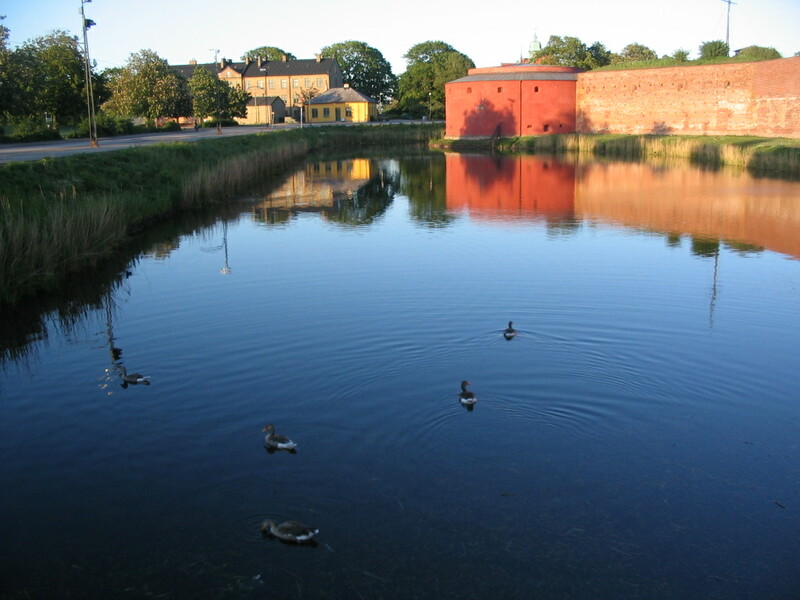 Beyond Kungsparken lies the city castle, Malmöhus, built in the 16th century when Malmö and the whole Skåne region were still part of Denmark. 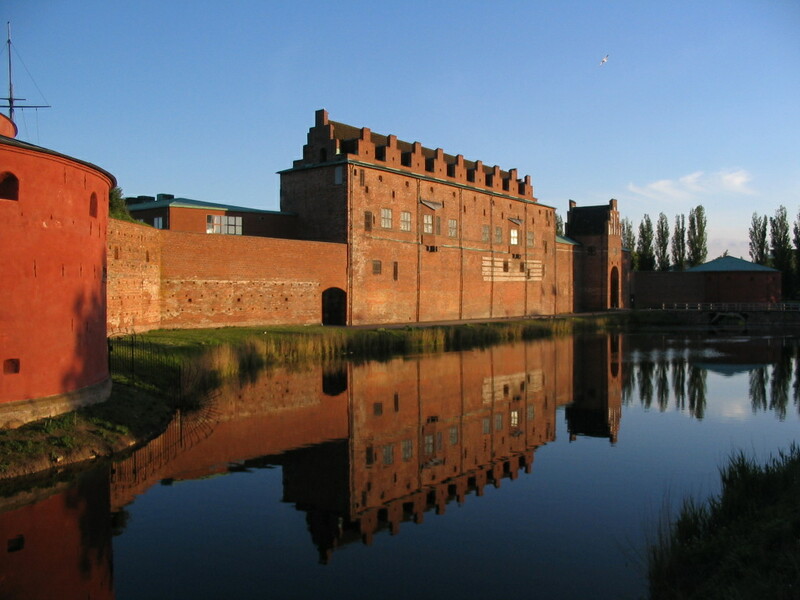 It is now a nexus of museums. I ventured over to it as the sunlight faded. 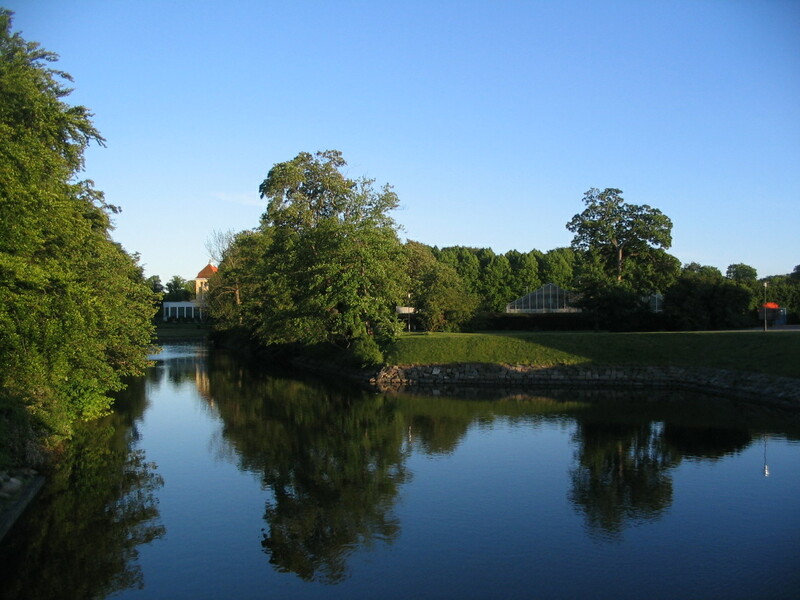 On approach across the moat, which is connected to the other waterways just seen. 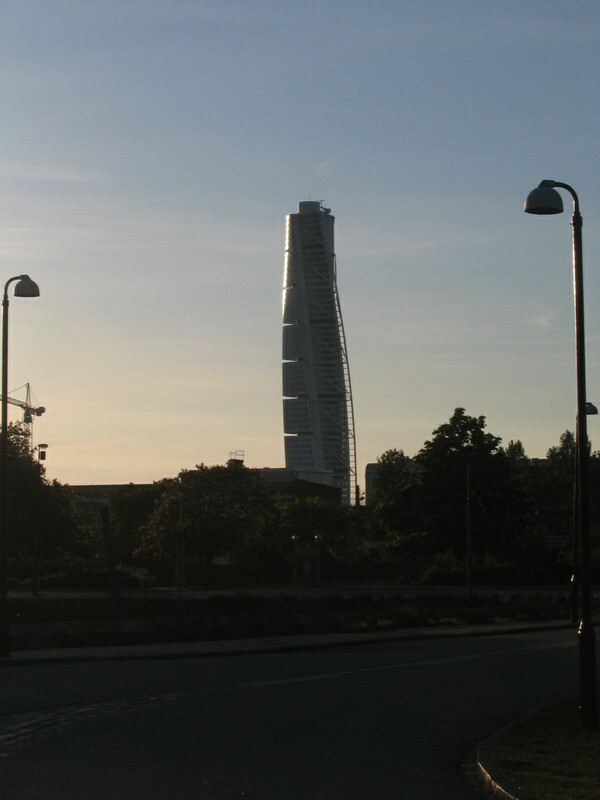 This is the distinctive Turning Torso, a residential tower that is the tallest skyscraper in all of Nordendom, designed by Santiago Calatrava and completed in 2005. 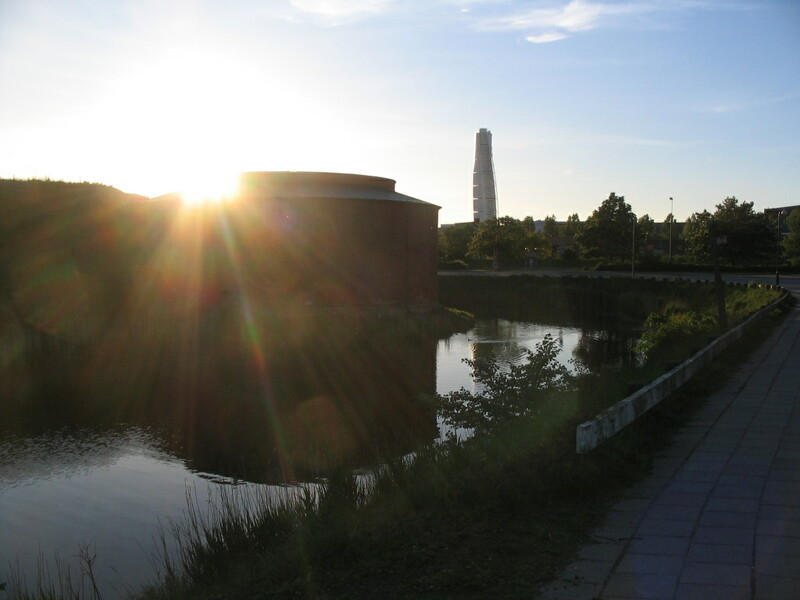 Low sun on the Hus and the Torso. 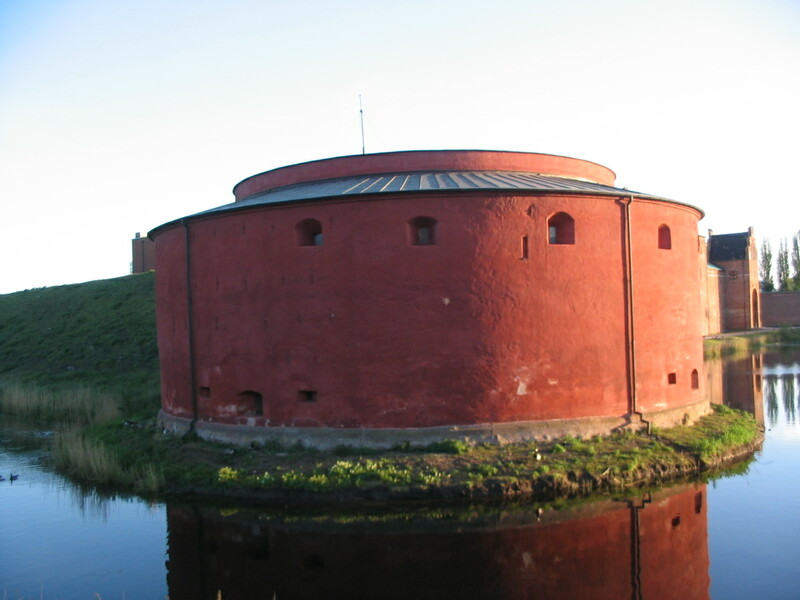 The splendid ruddy drumness of the northeastern tower. I don't even know if this can be called a tower, given how sprawling and short it is, but I don't know of another suitable term. 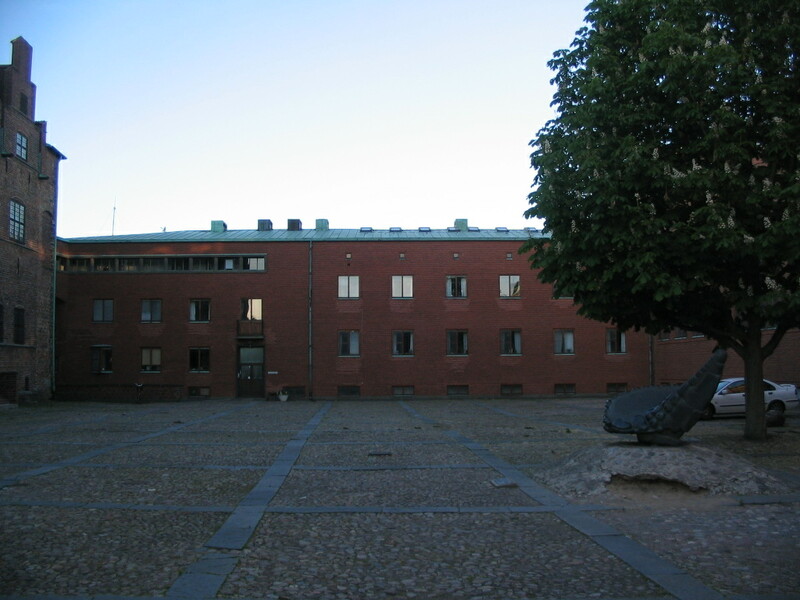 Its shape and vivid warm hue recall the Stockholm Stadsbibliotek. 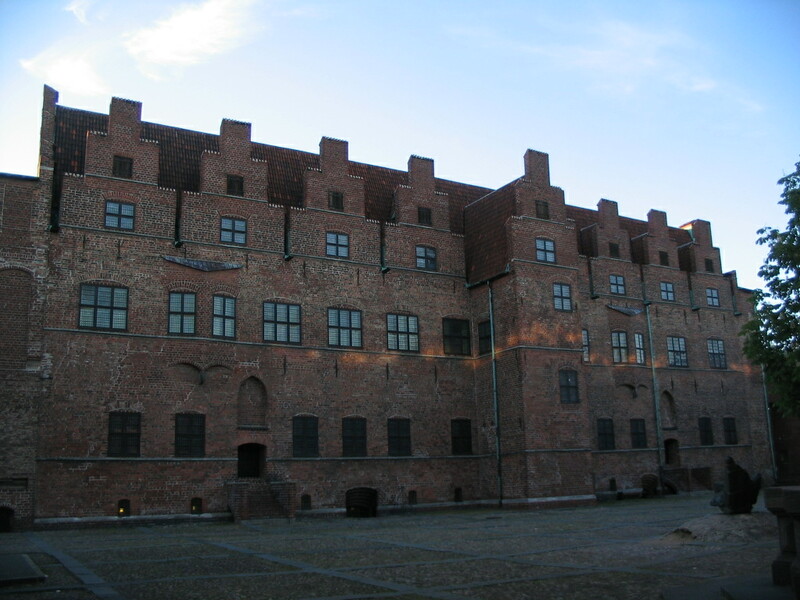 The main building of the castle. 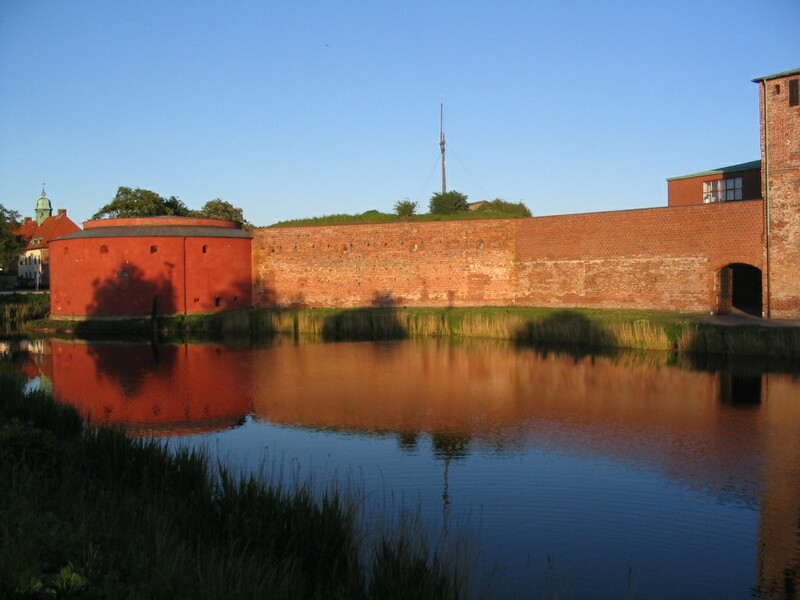 Along with the towers/drums, it is the only original part of the castle remaining. 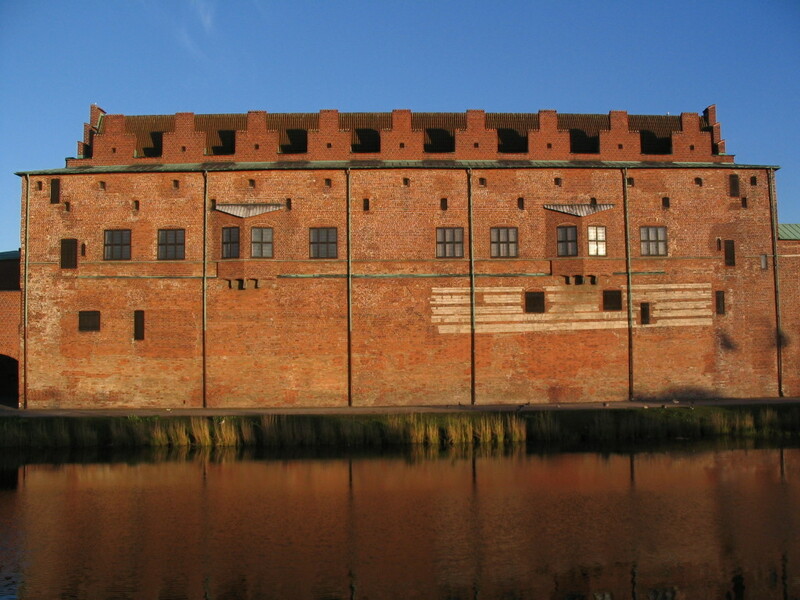 I really like its massing and the rhythm of its crenellations, not to mention the lovely mirror image the moat affords. An elevational snap thereof. I wonder what the story is on those whitish horizontal bands at right. 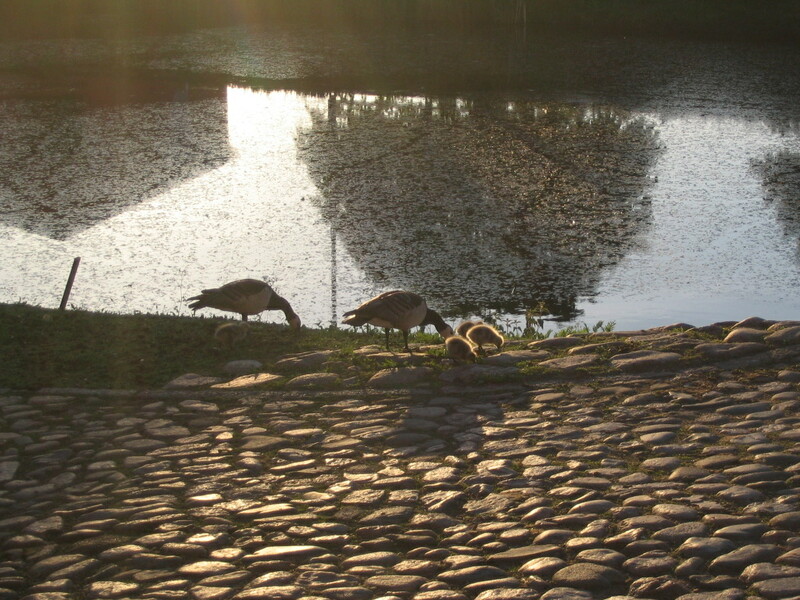 More geese, from the moat bridge. 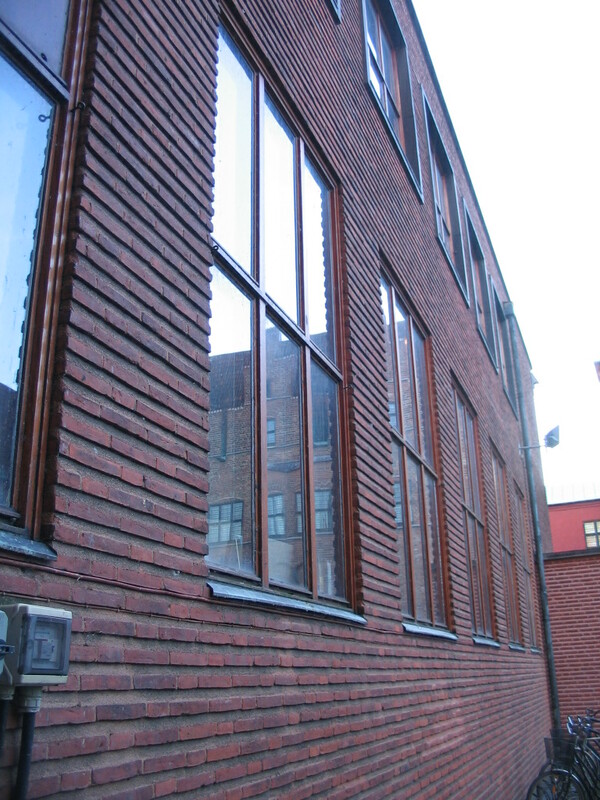 Similarly to Turun Linna, Malmöhus underwent renovation with the new parts harmonious with but materially distinct from the original structures, here signified by redder brick. 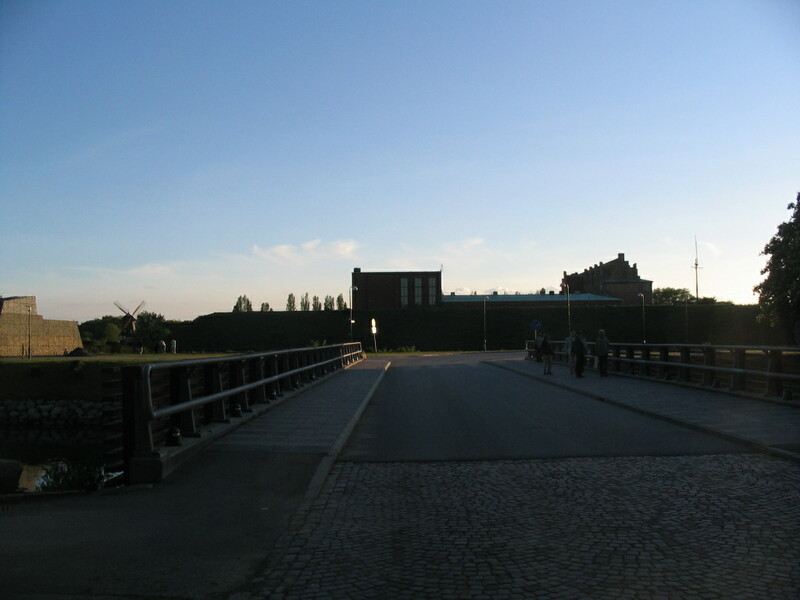 The reconstruction, begun in 1928, was designed by Erik Lundberg, while the museum was designed by Carl-Axel Stoltz. I'm not sure which parts are "reconstruction" and which are "museum," but this volume constituting the south side of the courtyard is one of the two. There was an event happening somewhere inside, I think on the west side of the courtyard; it was weird to hear lots of voices (or music or something) inside but to be totally alone outside. A closeup on one of the new parts. I really like the look of these thin bricks with thick mortar joints. 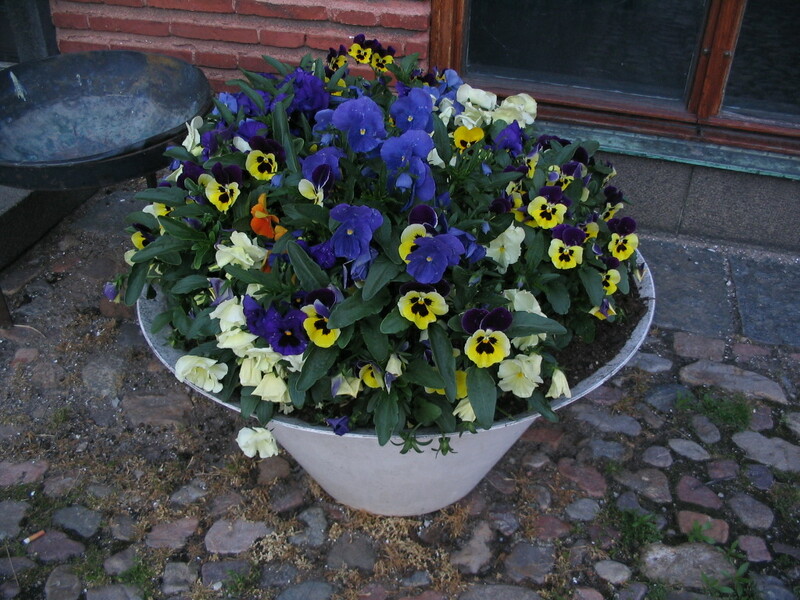 Oh my goodness, so many violets! Blooming flowers were still a novelty at this point in the spring, though I would be fast-forwarding through the season as I continued southwest.